The aim of the two Prizes is to promote research in the field of higher education policy by recognizing outstanding work on Higher Education and Research for Sustainable Development (HESD): A New Academic Discipline? 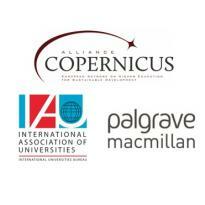 by two scholars: one from IAU and one from CA Member Institutions or Organisations. The Prize theme is linked to those adopted for the CA Annual Conference 2016, which took place in Vienna in September 2016, and the IAU 15th General Conference, taking place in Bangkok in November 2016. Abstracts should be sent no later than 31 May 2017.